Yum, Yum, a Rum Raisin Cupcake to tempt your taste buds. 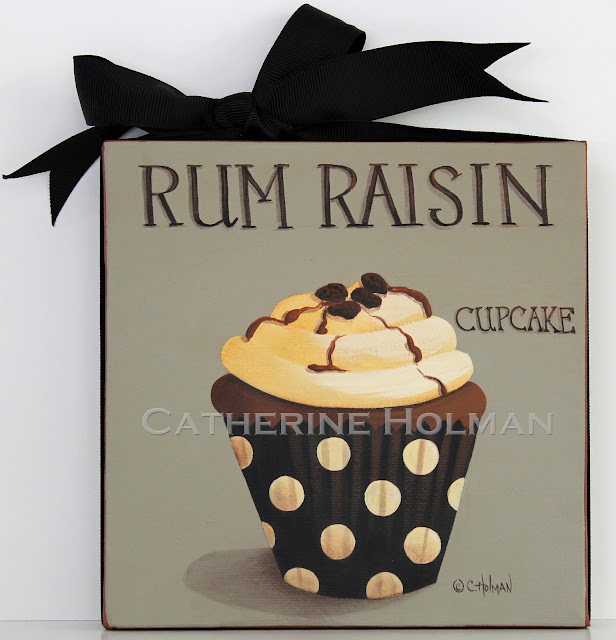 This delightful treat is frosted with creamy icing, topped with raisins and dribbled with rum sauce. 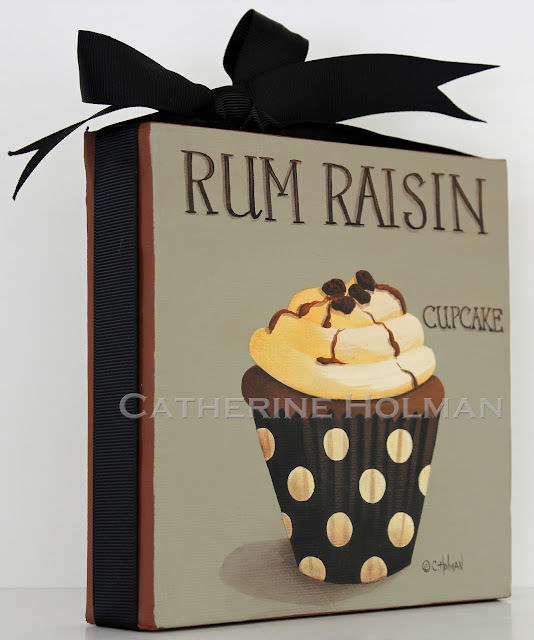 A recipe for "Rum Raisin Cupcakes" can be found at Good to Know Recipes. I haven't tried this recipe, but it looks great! I'll be in the garden. How about you? Just exactly where I'll be. That's a sweet painting for those who like subdued colors. It looks good enough to eat! 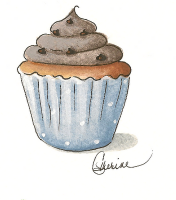 I always wish I could eat this wonderful cupcakes that you paint...this one is awesome. I will have to visit that recipe site....I hope you have a wonderful holiday weekend. I do love the colors on this cupcake. Absolutely beautiful! I'm missing your little folk art village pictures with your delightful stories! I love the colors in this one, Cathie! Beautiful.